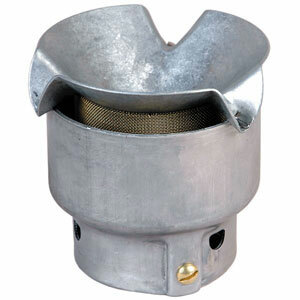 Open Atmospheric Vents are installed on the top of vent pipes from underground or above ground fuel storage tanks. The vent cap and internal wire screen are designed to protect the tank vent lines against intrusion and blockage from water, debris or insects. These vents are always open to atmosphere and allow any pressure or vacuum in the tank to vent. The OPW 23 Series is a perfect choice for many applications. Easy Installation – the 23 is available in 2″ and 3″ slip-on models that provide for attachment to the vent line with set screws.